"Own it and realize that this is something that is part of people but it is not who I am." 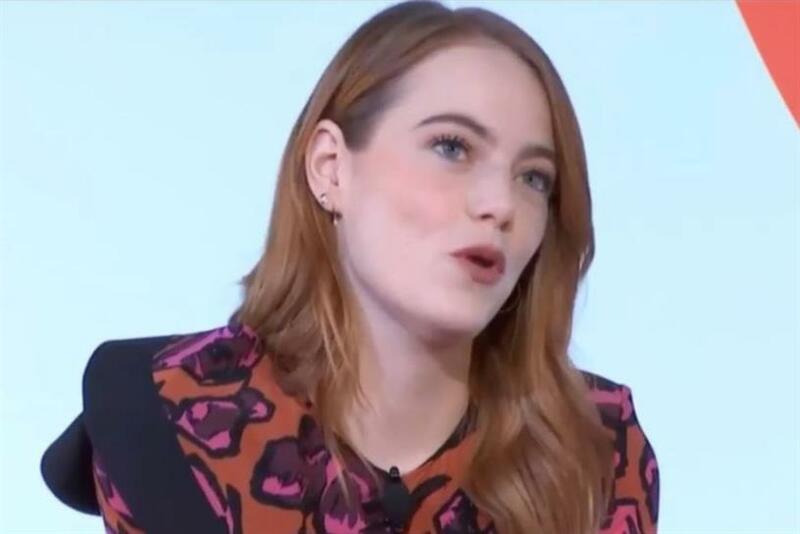 Actress Emma Stone has shared her personal battle with anxiety and how mental health disorders can be harnessed as a "superpower." The Academy Award-winner told of the moment she had her first panic attack at the age of seven during a raw talk with Child Mind Institute president Dr Harold Koplewicz at Advertising Week’s "Great Minds Think Unalike" session in New York City on Monday. "It was really, really terrifying and overwhelming," said Stone, describing the panic attack she endured right before second grade. "I was at a friend’s house and all of a sudden I was absolutely convinced the house was on fire and it was burning down. There was nothing in me that didn’t think we weren’t going to die. "I called my mom. She came and picked me up and it just kept going for the next two years." Stone still attended school at her home in Phoenix, Arizona. However, she would routinely see the nurse at lunch complaining of a stomach bug and ask to go home. The nurse knew she was anxious -- not ill -- because she would wring her hands in worry. "I couldn’t go to friends’ houses, I had deep separation anxiety with my mom," she continued. "I was so paranoid about everything." In the years that followed her first panic attack, Stone found release and freedom in improvisation. At the age of 14, she created a PowerPoint presentation for her parents entitled, "Project Hollywood," to convince them to let her move to Los Angeles and chase her dream of becoming the movie star she is today. Stone said: "With improv, I learned I could take all of these big feelings and really listen in the moment and use all of my associative brain that still wakes me up in the middle of the night and the thing that still haunts me to this day to be useful to my job." She got her big break a couple of years after moving to the West Coast when she starred in Superbad. Stone stressed that you don’t have to become an actor to overcome anxiety -- "You just have to find that thing within you that you’re drawn to, and have it presented to you. "You need to have the right parents, you need to have the right friends around you, people who love you no matter if you’re an absolute failure and have lost everything or have the most success -- it doesn’t matter to them, because life isn’t really about that." Asked what tools she uses to overcome her anxiety, Stone, who shared that she’d had a panic attack the morning before taking to the stage, said she speaks with a therapist, practices transcendental meditation and talks to people instead of isolating. She stressed she tries to "own it and realize that this is something that is part of people but it is not who I am." Stone continued: "17 million kids are affected by something like this. That’s a lot. And If I can do anything to say, ‘hey, I get it, I’m there with you, and you can still get out there and achieve dreams and form really great relationships and connections.’"
She admitted that sleep, however, is still her "Kryptonite." The actress also broke down the negative connotations which hang over medication. She told the crowd she refused to take any drugs to combat anxiety when she was younger out of fear it would numb her emotions. Stone said this, of course, isn’t true, and "the stigma around medication is horrible because it can be absolutely life-saving." Stone, who said she's shooting Zombieland 2 right now, added: "I believe that people who have anxiety and depression are very, very sensitive and very, very smart, because the world is hard and scary and there’s a lot that goes on, and when you’re really attuned to that, it can be crippling. And if you don’t let it cripple you and you use it for something positive and productive, it’s like a superpower."